This week, May 19-25, is Stop Hearing Loss Bullying Awareness Week. Help Lipreading Mom promote this cause—as well as the worldwide premiere of the Stop Hearing Loss Bullying Campaign Video, which premieres online via the campaign page this Friday, May 24. 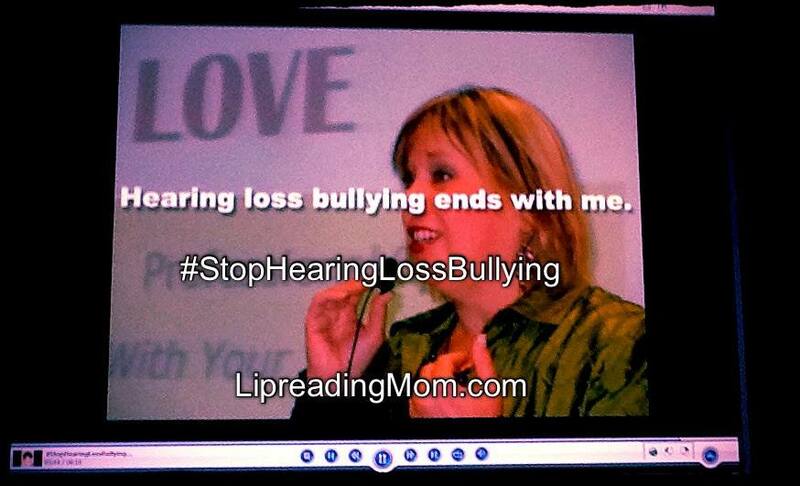 What is the Stop Hearing Loss Bullying Campaign? This spring, a group of 12 people, including Lipreading Mom, got together to brainstorm how to stop the troubling phenomenon of bullying among people who are deaf or have hearing loss. Each person answered the question: Why do I support Stop Hearing Loss Bullying? Then the participants submitted photos of themselves to Lipreading Mom. The photos included their faces, hearing aid or cochlear implant side profiles, and hands using sign language. 1) Spread the word to all your contacts about the Official Stop Hearing Loss Bullying Page. 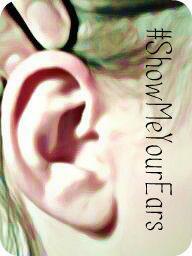 2) On Facebook, “like” and share the #Stophearinglossbullying﻿ page. Watch for the Video Premiere this Friday, May 24, at LipreadingMom.com! Thanks for all your support, Monica! Very informative content. We’re having success with Hearing Loop systems here in Southern California. Among the appeal is that there is nothing to wear, to check-out, to maintain, to account for, and with most hearing aids containing T-Coils, the end user is self sufficient to increase its hearing efficiency. « When You Hear for the First Time, Who Do You Tell?